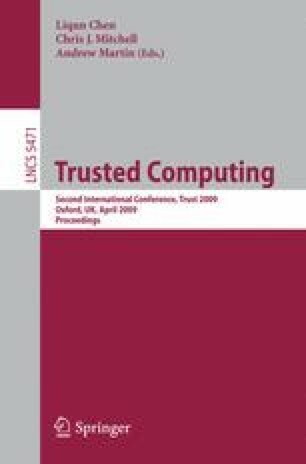 Trusted Computing (TC) as envisioned by the Trusted Computing Group promises a solution to the problem of establishing a trust relationship between otherwise unrelated platforms. In order to achieve this goal the platform has to be equipped with a Trusted Platform Module (TPM), which is true for millions of contemporary personal computers. The TPM provides solutions for measuring the state of a platform and reporting it in an authentic way to another entity. The same cryptographic means that ensure the authenticity also allow unique identification of the platform and therefore pose a privacy problem. To circumvent this problem the TCG proposed a trusted third party, the Privacy Certification Authority (PrivacyCA).